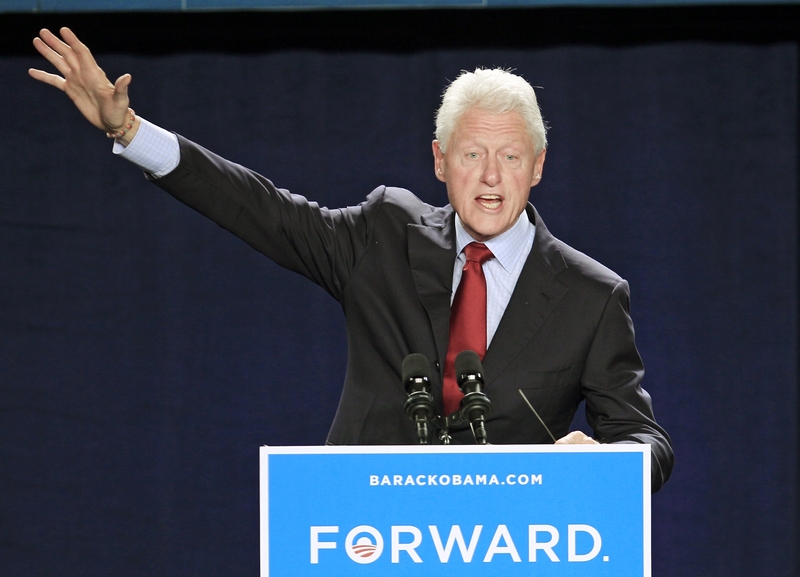 GREEN BAY, Wis. Former President Bill Clinton said Friday that President Barack Obama is facing a tough re-election race because "impatient" Americans haven't fully recognized an economy on the mend. "This shouldn't be a race," Clinton said. "The only reason it is, is because Americans are impatient on things not made before yesterday and they don't understand why the economy is not totally hunky-dory again." Bill Clinton: Romney "thinks we're dumb"
Bruce Springsteen: "Obama is our best choice"
The former president said Obama's difficulty in his race with Republican challenger Mitt Romney is that "people don't feel it yet" even as the unemployment rate ticks down and the manufacturing sector perks up. Clinton said Obama deserves credit for stabilizing a situation that saw the country hemorrhage jobs well into his first year. "Gov. Romney acts like from the minute the president took his hand off the Bible he was responsible for every lost job," Clinton said. Everywhere he goes, Romney argues that the tepid recovery is grounds for a change. The shape of the economy consistently tops lists of voter concerns. A local police official said 2,200 turned out to hear Clinton at a college fieldhouse. Clinton won Wisconsin in both of his presidential campaigns. Republicans think they can flip the state, which hasn't gone to them since 1984. Wisconsin Rep. Paul Ryan is on Romney's ticket and has campaigned heavily in the state in the past few months.